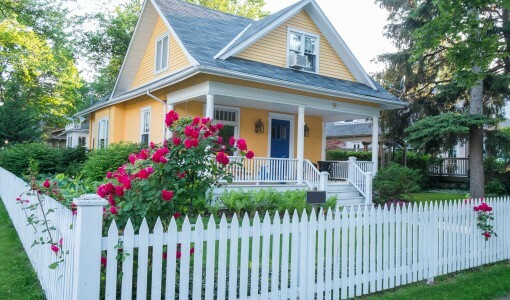 Home » News, Press & Articles » Posts » How to Select the Best Fence for Your Yard? 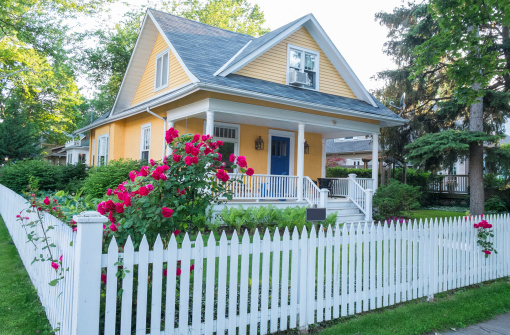 If you’re considering installing a fence around your yard, there are a variety of other factors you need to consider besides design, including proper fence maintenance, privacy, budget, and how to correctly replace an old fence. It is also wise to look into local bylaws and find out if there are any restrictions in your area and if you will require a permit. Here is some information on some of the factors you’ll need to consider. Ask yourself why you are having a fence installed. Is it for privacy? For the safety of your children and pets? Whatever the reason, it is not recommended that homeowners have a privacy fence installed since it can hurt the resale value of our home; instead, privacy fences are suggested for commercial properties. Regardless of the type of fence you choose, you’ll have to decide on the best material. Wood is a popular choice for homeowners and for commercial property owners alike, while vinyl is another favourite, especially when used for privacy. Finally, aluminium fences can give your yard an open and classy look. The work put into your fence doesn’t end with its installation; depending on the material, you will need to perform regular maintenance as well. Wood fences will add value to your property, but the material is high-maintenance, requiring painting and staining every couple of years. On the other hand, damaged boards can be easily replaced. Aluminium and vinyl fences require little or no maintenance, but the downside is that manufacturers are more likely to stop carrying their designs, making replacing portions of the fence difficult. As a courtesy, you should let your neighbours know about any plans to install or alter your fence. That’s because neighbourhood associations in your area may have restrictions on the type of fence designs that can be installed. You should follow any guidelines presented, as failure to do so can result in a fine and having to take the fence down, leading to wasted money on the project. Unless you have previous do-it-yourself experience with fence installation, it is recommended that you leave the project up to a professional fencing contractor. At Total Fence Inc., we have the necessary experience and expertise to install your fence while offering a variety of designs and materials. Fence installation can be a labour-intensive project, so leave it up to the professionals at Total Fence Inc.
White, J.M., “4 Tips for Choosing the Best Fence for Your Yard,” AngiesList.com, September 25, 2014; http://www.angieslist.com/articles/4-tips-choosing-best-fence-your-yard.htm.